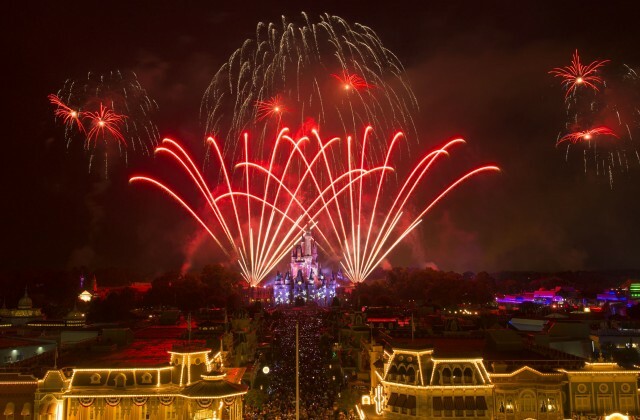 If you’re planing on celebrating the Fourth of July at the Walt Disney World Resort we have some details on the special events planned for July 3 and 4. 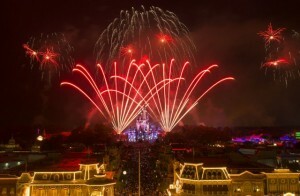 At the Magic Kingdom guests can enjoy ‘Disney’s Celebrate America! A Fourth of July Concert in the Sky’ fireworks display behind Cinderella Castle. This fireworks show will happen both nights at 10 p.m. Guests at Disney’s Hollywood Studios can enjoy a rocking dance party before the ‘Rockin’ Fourth of July’ fireworks celebration. This special event will also take place both nights at 10:15 p.m.
IllumiNations: Reflections of Earth at Epcot will feature a special red, white, and blue finale on both July 3 and 4. And the Voices of Liberty will be performing on July 4 at 12:30, 1:45, and 3 p.m. in the America Gardens Theater. The group will also be performing inside the American Adventure pavilion at 4:15 and 5 p.m. Guests will also find characters dressed in their festive holiday clothes in addition to special holiday merchandise and treats in select locations in the theme parks. This entry was posted on Saturday, June 27th, 2015 at 10:30 am	and is filed under Planning, Theme Parks. You can follow any responses to this entry through the RSS 2.0 feed. You can leave a response, or trackback from your own site.